Athletic Club and Atlético Madrid face at San Mamés Barria, in a match for the 28th round of the Primera División. 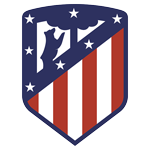 In the last league head‑to‑head, played in 10‑11‑2018, Atlético Madrid got a home win by (3‑2). The head‑to‑head record at this stadium favours the away team, since in the last 5 head‑to‑heads they won 4 and tied 1. Accordingly, in the last head‑to‑head played at this stadium, for the Primera División, on 20‑09‑2017, Atlético Madrid won by (1‑2). Raúl García (90' ) scored for Athletic Club and Á. Correa (55' ) and Y. Carrasco (73' ) for Atlético Madrid. Atlético Madrid registers significant differences between home and away results, so special attention is due to the home/away factor. The home team is currently in the 12th position of the league, with 34 points won, after 7 wins, 13 draws and 7 losses. In the penultimate match, they lost in an away match against Valencia, by (2‑0). In the last match, they tied in a home match against Espanyol, by (1‑1). This is a team that usually maintains its competitive level in home and away matches, since in the last 30 matches they register 4 wins, 6 draws and 5 losses in away matches, with 17 goals scored and 18 conceded; against 5 wins, 7 draws and 3 losses at their stadium, with 17 goals scored and 15 conceded. In the last 10 home league matches Athletic Club has a record of 4 wins, 5 draws and 1 loss, so they have won 17 points out of 30 possible. They haven’t lost any of the last 9 home matches for this competition. There are a few recurrent results in their home league matches at half‑time: 1‑0 (5 out of 14 matches) and 0‑0 (6 out of 14 matches). Their offense has scored consistently, as they have scored goals in 8 of the last 10 matches for this competition. In their home matches for this competition there is a tendency for few goals, since 10 of the last 14 matches have ended with Under 2,5 goals. They have conceded the first goal in 9 of their 27 matches for this competition, and have never been able to turn the score around. In the last 14 home matches for this competition there is 1 period that stands out: they have conceded 5 of their 13 goals between minutes (76'‑90'). 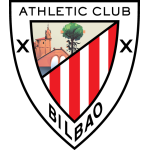 Athletic Bilbao arrive for this match with a 1-1 home draw against Espanyol, thus registering the second straight match without winning in the Spanish league: Raúl García scored the only goal of the team. It is important to remember that the hosts have won only 5 out of 14 matches they played at home. In this game against Atletico Madrid, coach Gaizka Garitano should keep the 4-2-3-1, being Williams the most advanced player of the home team. Note that the player referred to above is the great highlight of Athletic Bilbao, with 7 goals scored. For this game the coach can not count on Inigo Martinez, suspended, in addition to Aduzir and Balenziaga, this injured. Confirmed Lineup: Iago Herrerín, De Marcos, Unai Núñez, Yuri, Yeray Álvarez, Raúl García, Ibai Gómez, Dani García, San José, Iñaki Williams, Muniain. The away team is currently in the 2nd position of the league, with 56 points won, after 16 wins, 8 draws and 3 losses. In the penultimate match, they won in an away match against Real Sociedad, by (0‑2). In the last match, they won in a home match against Leganés, by (1‑0). This is a team that usually makes good use of the home advantage, stronger with the help of its supporters, since in the last 30 matches they register 5 wins, 7 draws and 3 losses in away matches, with 15 goals scored and 15 conceded; against 12 wins, 2 draws and 1 loss at their stadium, with 30 goals scored and 9 conceded. In their last match, for the UEFA Champions League, they got an away loss against Juventus by (3‑0). In the last 10 away league matches Atlético Madrid has a record of 4 wins, 5 draws and 1 loss, so they have won 17 points out of 30 possible. In their away matches there are a few frequent results: at half‑time 0‑0 (6 out of 13 matches) and after the 90' 1‑1 (5 out of 13 matches). Defensive consistency has been one of their best features, as they have only conceded goals in 3 of the last 10 matches, and their offense has scored consistently, as they have scored goals in 9 of the last 10 matches for this competition. In their away matches there is a tendency for few goals, since 11 of the last 13 matches for this competition have ended with Under 2,5 goals. In 27 matches for this competition, they have conceded the first goal 7 times and have only turned the score around in 1. In the last 13 away matches for this competition there is 1 period that stands out: they have conceded 4 of their 10 goals between minutes (46'‑60'). Atletico Madrid come to this match with a 3-0 away loss to Juventus, in game to count for the Champions League. In the last game for the championship, the visiting club beat Leganés 1-0, registering the fourth consecutive win. Usually coach Diego Simeone plays in a 4-4-2, privileging the defensive organization and fast attacks on the flanks. On the other hand, Saúl Ñíguez is the main game organizer, being this owner of great quality of pass and vision of game. Antoine Griezmann is this team's top scorer, with 12 goals scored. For this game the coach can not count on Filipe and Lucas Hernandez, both injured. Confirmed Lineup: J. Oblak, D. Godín, J. Giménez, Juanfran, Saúl, Rodri Hernández, Koke, T. Partey, A. Griezmann, Álvaro Morata, Diego Costa. Analyzing the two teams we can see that Atletico Madrid is more organized in different moments of the game, that is, it is anticipated that they dominate and hold the best chances to score. On the other hand, Athletic Bilbao play at home, however, hold a lower quality squad. Taking into account these factors, risking in favor of the visitors and the existence of few goals is the best option.